If you’re not electrically minded, think of 3 Phase vs Single Phase electric power as something easier to visualize like mechanical power. They’re very different, but both deliver power using pressure (force) and flow (speed). In both the power delivered is calculated by multiplying pressure (force) times flow (speed). In mechanical power, many terms describe the pressure or force (Foot Pounds, Pounds per Square Inch, etc.) and many terms describe the speed or flow (Rotating Speed, Gallons per Minute, etc.). In electric power, one term describes the pressure or force (Voltage) and two terms describe the speed or flow (Current and Amperes). In the earliest days Direct Current (DC), where the power flows in one direction like a water hose, was the standard for delivering electrical power. Now Alternating Current (AC), where the power flow is constantly alternating direction, is the standard for delivering electrical power. The standard for delivering electrical power changed from Direct Current (DC) to Alternating Current (AC) because Alternating Current (AC) delivers electrical power more efficiently over long distances. In the US, 60 Hertz (cycles per second) is the Alternating Current (AC) frequency. In some countries, 50 Hertz (cycles per second) is the Alternating Current (AC) frequency.? What is 1 (Single) Phase Power ? If you’re not electrically minded, think of 1 (Single) phase power like a bicycle where only one leg (phase) is pushing on one pedal rotating around a crankshaft axis (neutral). Mechanically, power is calculated as leg pressure (Foot Pounds) times speed (Rotating Speed). Electrically, power is calculated as leg force (Voltage) times flow (Current). In the US, 120V is the standard single phase voltage with one 120V power wire and one neutral wire. In some countries, 230V is the standard single phase voltage with one 230V power wire and one neutral wire. What is 2 (Dual / Split) Phase Power ? If you’re not electrically minded, think of 2 (Dual / Split) phase power like a bicycle where one leg (phase) can push on one pedal, or both legs (phases) can push on both pedals (180 degrees out of phase with one another) rotating around a crankshaft axis (neutral). Dual Phase or Split Phase power is also Single Phase because it’s a two wire Alternating Current (AC ) power circuit. In the US, this is the standard household power arrangement with two (Phase A, Phase B) 120V power wires (180 degrees out of phase with one another) like two bicycle pedals and one neutral wire. This arrangement is used in most US households because of its flexibility. 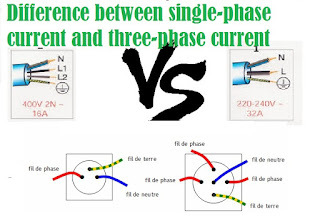 What is 3 (Three) Phase Power ? If you’re not electrically minded, think of 3 (Three) phase power like a three cylinder engine where three pistons (phases) located (120 degrees out of phase with one another) push rotating around a crankshaft axis (neutral). Mechanically, I’m not sure how to calculate the power. Electrically, power is calculated as cylinder force (Voltage) times flow (Current) times 1.732 (Square Root of 3).